We started the year with a Co-ed retreat in which we went through the curriculum, “Life in 6 Words.” The six words were: God. Our. Sin. Paying. Everyone. Life. (GOSPEL). We spent the weekend really hammering home what the gospel is and how it applies to our life. We also did our first Leadership Retreat on June 2-4, 2017. For our Young Ladies, numbers were down to about 6-7 girls per retreat. Many would see that as a negative, however, the time spent with each girl and a staff member/volunteer was so important. There were relationships created and strengthened because of the smaller ratio. That kind of attention is hard to give during a normal program time. Vision Boarding was a new concept for them this year. It was a great activity to sit down and think about what they really wanted to see happen in their lives. They had to think about not only what they wanted to see, but what steps it would take to get there. This generation tends to struggle with thinking creatively and using their imagination regarding their future. This activity gave our staff an avenue to challenge their thinking and give the girls an opportunity to dream big. Another big topic was Fighting for Peace. A sad trend that we are seeing is a rise in violence between females. This session was to show that even though it could be a “fight” in and of itself, it is always best to try to be a peacemaker. Jesus said, “Blessed are the peacemakers…” The girls learned that as they move closer to Jesus, their fight has to become more for the things that Jesus fought for. 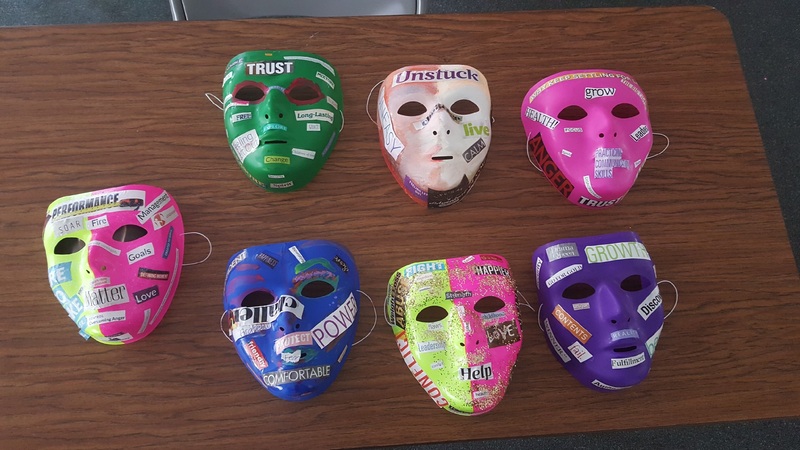 One activity the girls did to help bring the point home was creating masks. We’ve observed that one reason girls fight is to defend an identity. This activity helped them to recognize the identity they are hiding behind versus the true identity underneath. 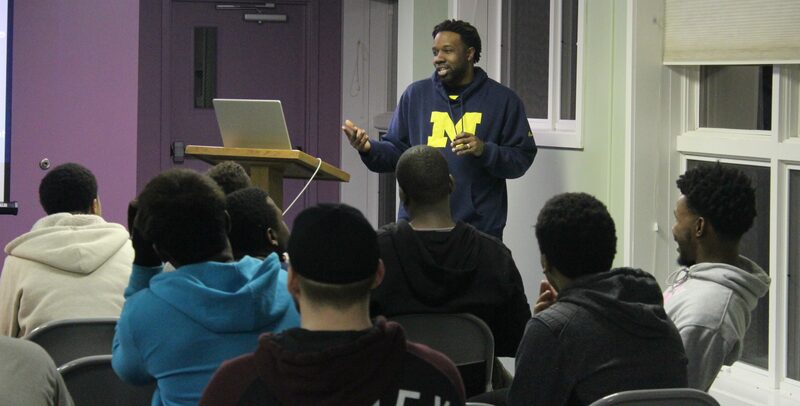 The “Real Talk” retreat was a very meaningful retreat that we had with the guys. The sessions were unscripted and led by questions that they raised and wanted to discuss. 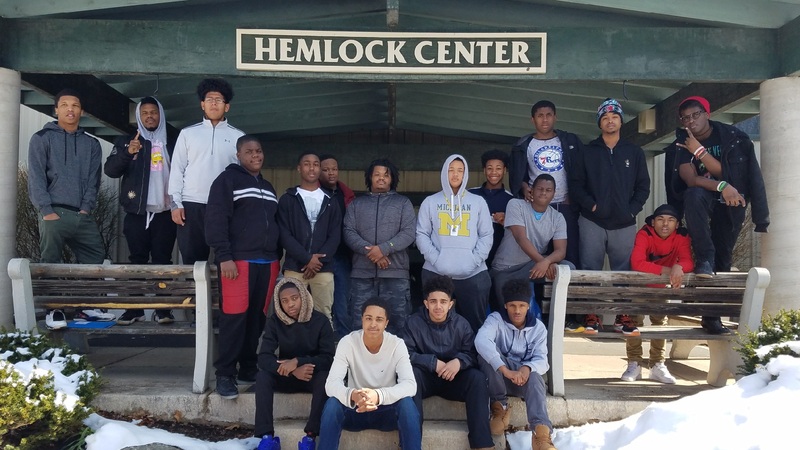 One powerful activity was called “Life Boat:” the teens were broken into groups and they had to work together to figure out who would be saved from a cruise ship that was sinking. The trick was that they were safe and there were 15 passengers left and only space for 11. This activity was able to bring out their own prejudices and stereotypes. They also got to talk about understanding others that may think different than themselves. Purpose was a topic of another retreat, in which they looked at the questions, “why am I here?” and “why am I special?” It was emphasized that you were not an accident; you are not here by random chance. You are here because the God of the universe, fearfully and wonderfully made you. Understanding that point helped the guys understand that, “if I am created by the God of the universe then I must be special.” One activity that helped drill home that point was for the guys to analyze their thumbprints. Each thumbprint is unique, meaning there is only one of you. Thanks again to all of you who have been a part of our journey this year. I believe hearts are being softened, walls are coming down, and change is happening! From Bethesda Mission’s July 2017 Newsletter, Page 4.